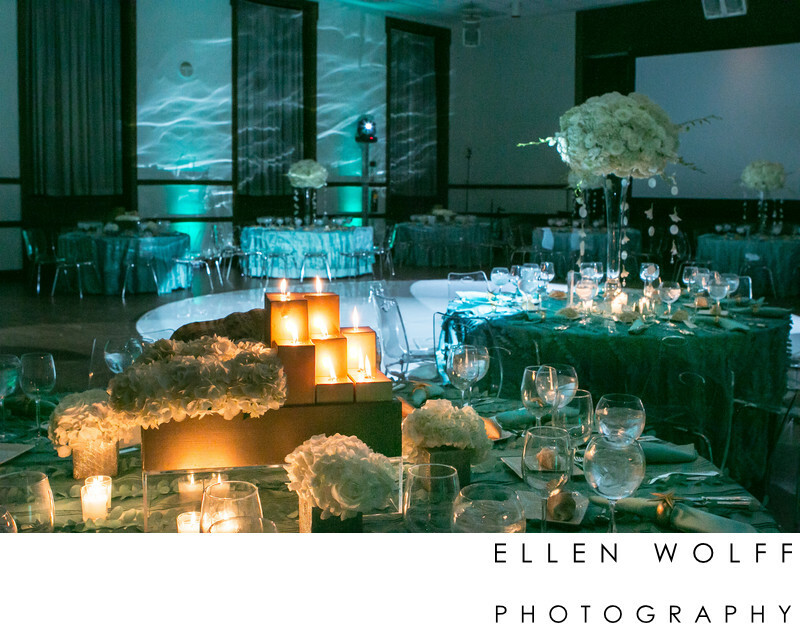 At Temple Israel Center, TIC White Plains, beach was the theme behind this bat mitzvah decor. The dance floor was round and the walls were sprayed with blue water images. Damselfly Designs created an immersive aqua environment resonant with water. Keywords: Bat Mitzvah decor (3), Temple Israel Center White Plains (18), TIC White Plains (27).